The pendulum was a good way to extract confessions. With the help of a rope, the victim's wrists were tied behind his back. As the torturer turned the handle, the rope slowly elevated eventually dislocating the victim's shoulders. 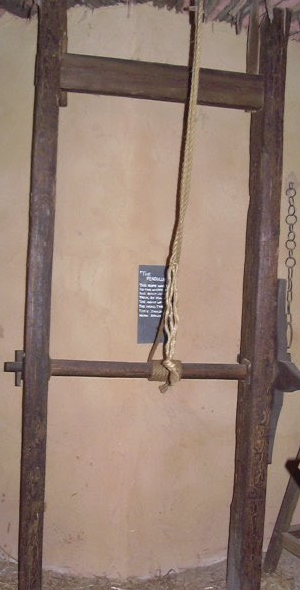 This was very seldom a lethal torture method, as torturers used the pendulum mostly for inflicting psychological fear to extract confessions before actually hurting the victim. If the victim refused to confess, the torturer could elevate the rope high enough to dislocate both shoulders, causing permanent damage. If the victim still failed to confess, torturers could employ more painful devices to finally extract the confession. Many confessed by the mere sight of this device.